Awesome! 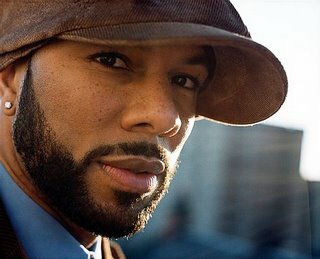 Thanks to Ebunoluwa... we were made aware that Common will be headlining this years 40 Acres Fest! The fest is on Saturday, April 1st and Common will be coming on at 7pm. Reminds me of the time when Tone Loc came to 40 Acres Fest when I was still in school... oh the memories... hahaha... peace out! "The story of how FAF was started is an interesting one. Before FAF, Greek organizations held a parade in the spring called Round-up, which dates back to the 1950's. However, in 1992, Round-up's disruptive behavior forced the university from sponsoring them. In the fall of 1993, a group of students set out to organize an event celebrating the diverse interests of the student body at the largest university in the nation. The festival took on the motto of being "by students, for students," and drew its name from the original forty acres of land on which the University of Texas at Austin was founded." It's rumored that DJ Tats will be spinning at Whisky Bar tonight... if this gig goes well, we'll have another place to go on Friday nights! So go show your support! B-Boy City is one of the biggest b-boy events in the southern United States. 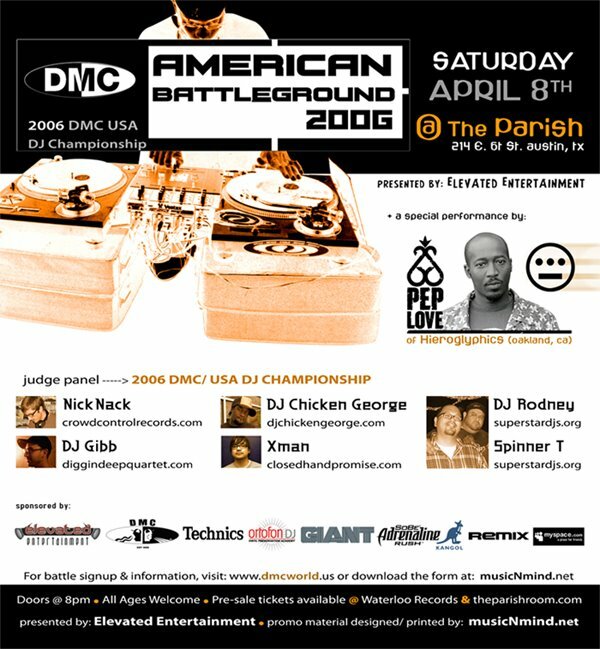 Every March & October in Austin, TX, b-boys from all over Texas, the surrounding states, states across nation, and on occasion a few international locations come to compete and spectate. B-Boy City keeps the true competitive spirit of hip-hop alive by holding battles, for dancers, b-girls, poppers and dance crews. 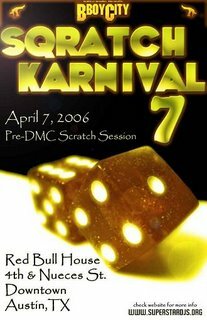 In recent times, B-Boy City's uniqueness has increasingly pulled in spectators from the other elements of hip-hop, such as emceeing, djing and graf writing. 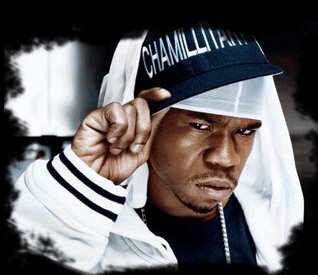 Yo man! 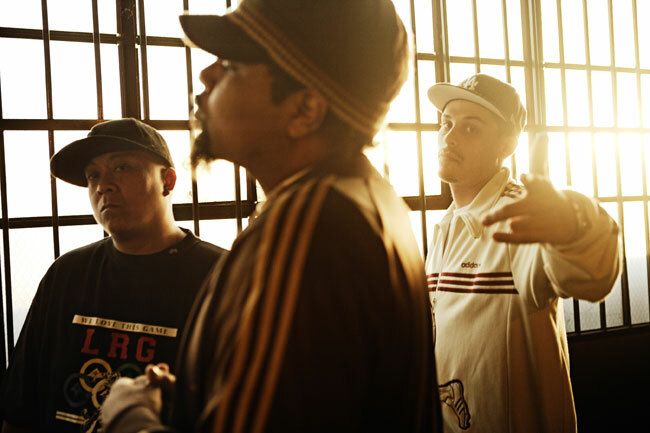 Check out Dilated Peoples at Stubb's on Mar. 24th. Dude... there are tooo many good shows! I need some sleep bad! 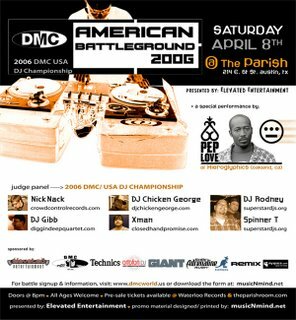 "As hip-hop culture (DJing, MCing, b-boying, graffiti art and beatboxing) evolved in the late 1970s and early 1980s, two things were hallmarks of the movement: DJing and lyrical excellence. 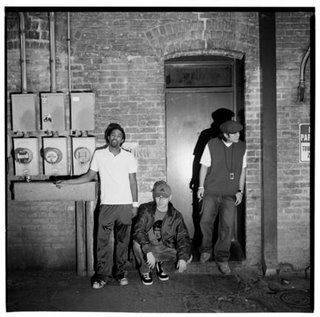 The trio’s first three albums -- 2000’s The Platform, 2001’s Expansion Team and 2004’s Neighborhood Watch -- are hailed as exemplary examples of quality hip-hop. 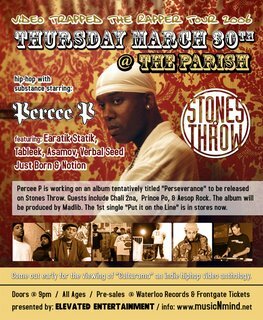 So after enjoying the biggest radio and television exposure of its career with the 2004 hit “This Way,” produced by and featuring Kanye West, Dilated Peoples wanted to make a point that they had a clear vision for their music, hence the 20/20 title for their new album." 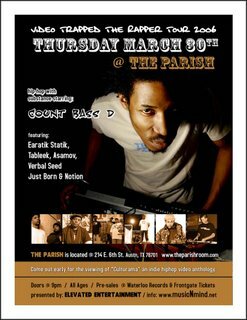 Need something to do tonight? Want a free show? 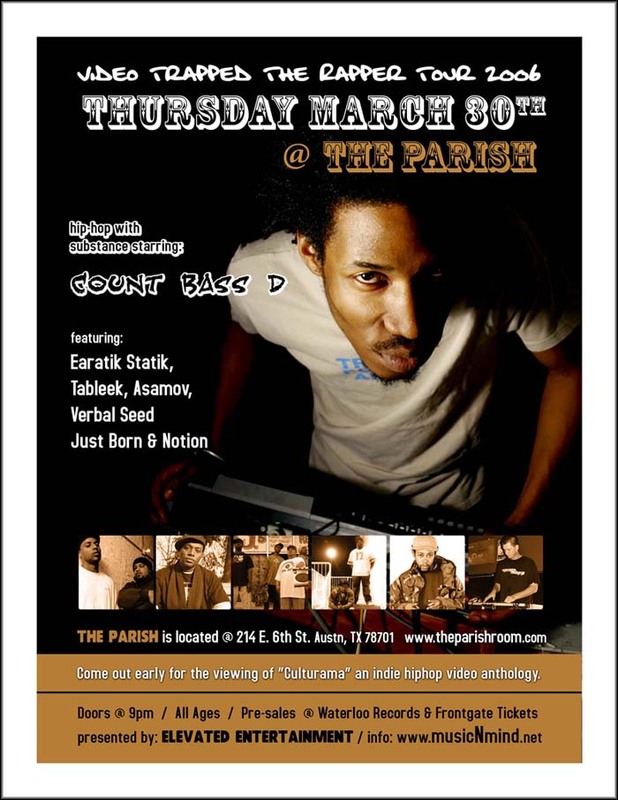 Boombox will be throwin' a free show at the Lucky Lounge TONIGHT! "Come to the Lucky Lounge from 10-12 tonight to enjoy another great night of Boombox music, no cover, badges, or wristbands required. 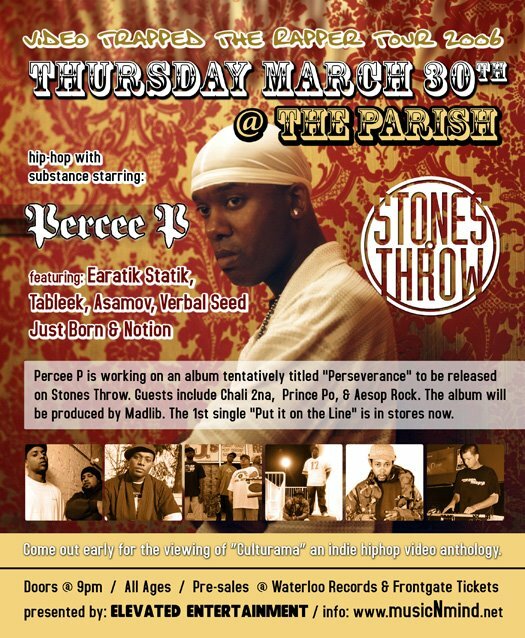 We will also be handing out a free copy of our latest CD to a few lucky winners." 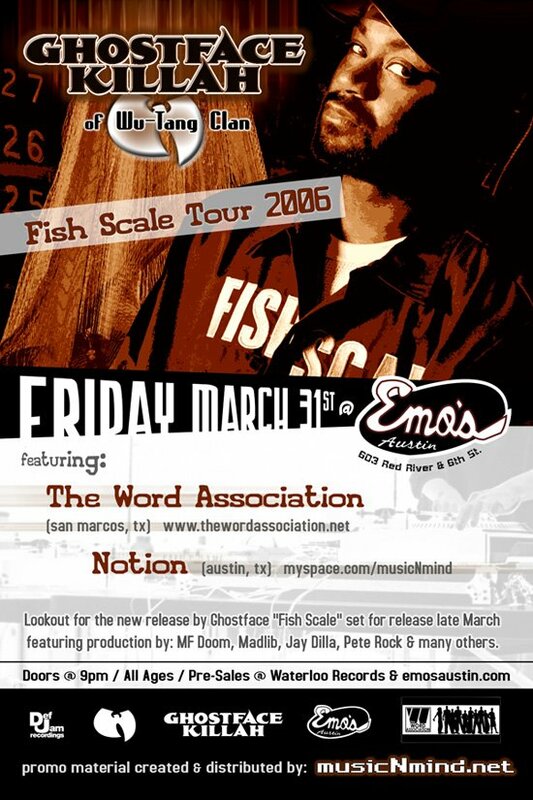 Ghostface Killah is coming to Emo's! 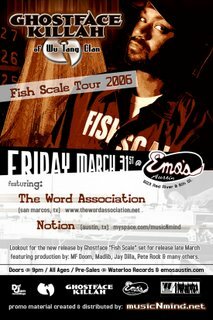 Part of his Fish Scale Tour promoting his new album by the same name which releases on March 28th. 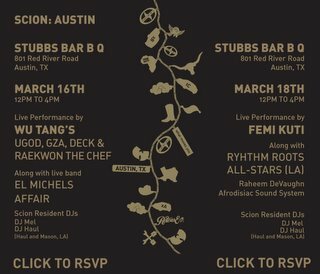 Looks like Wu-Tang is having a strong showing in Austin this year. I'm hurtin' hard with a headache right now but this made my day... enjoy!